Nothing is yummier and gets you in the holiday spirit more than a great cup of hot cocoa served up with a plate of fresh, homemade cookies. 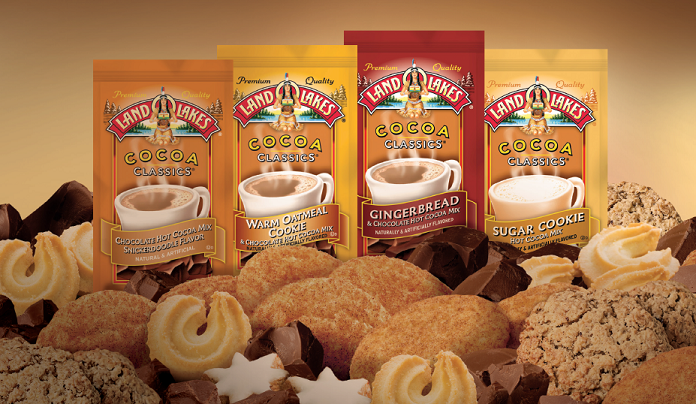 Now, for a limited time only, Land O’Lakes Cocoa Classics is bringing together delicious flavors into one delightful treat all found in one cup of hot cocoa. Featuring popular holiday cookie flavored favorites like Snickerdoodle, Oatmeal, Gingerbread and Sugar Cookie, the Land O’Lakes Cocoa Classic Cookie-Flavored Cocoa gift pack is the perfect treat for your family to enjoy together. This is an ideal choice to give as a stocking stuffer or gift to family, friends, teachers or coworkers. Grab this perfect holiday goodie while supplies last on Amazon.com and Walmart.com!